Wow! What a night! I feel so energized and inspired! 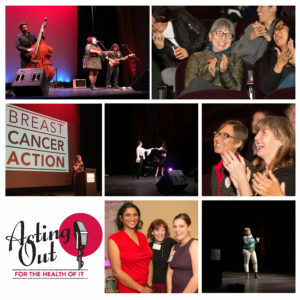 Thank you for making yesterday’s 6th annual Acting Out – For the Health of It a success! If you weren’t able to join us last night, it’s not too late to make a donation! 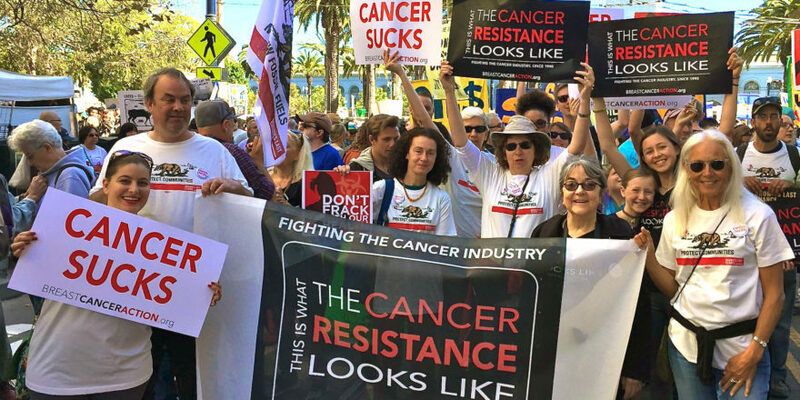 Together, we are the cancer resistance. And your donation to Breast Cancer Action is a direct form of activism—it’s an investment in social change. It gives us the resources we need at a time when corporations are expanding their influence and control. Check out my Op-Ed in today’s San Francisco Chronicle for just one example of what’s at stake and why our work matters. We can do this and more because our funding comes from our members, not the cancer industry. And community fundraising events, like Acting Out, bring us together and provide vital funds to keep us independent. Your donation goes directly to our programs, thanks to the generosity of our sponsors and the amazing performers who donated their time and talent: Aireene Espiritu, Anastasia Lattanand, Abigail Arons, Julie Morgan, Kelly Anneken, Grazie de Michele, Kate Holcombe, Carolyn Cassanova and Yumiko Krupenina,and Mad Mama and the Bona Fide Few. Thanks to our awesome photographer, Anita Bowen. And a huge shout out to our Emcee, the wonderful and hilarious Luna Malbroux! Whether you joined us as a guest, donor, sponsor or volunteer, THANK YOU! P.S. Check out photos from the event. We also went live on Facebook last night and live streamed my portion of the program. Watch it here.